We are an interdisciplinary collaboration led by professors Jen Irish (Civil & Environmental Engineering), Robert Weiss (Geosciences), and Tina Dura (Geosciences) who are experts in coastal storms (e.g., tropical cyclones), tsunamis, and sea level rise. 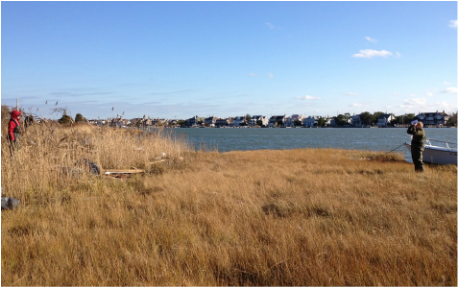 Our research emphasizes the physics of inundation and sediment transport, as well as quantitative hazard assessment and hazard mitigation by natural features such as wetlands, coastal forest, and dunes. We have awarded more than 20 graduate degrees and mentored more than 30 undergraduate students in research. ​Credits: Background photo courtesy of Sadatsugu Tomizawa (Creative Commons license CC BY-NC-ND 2.0). Field suveys shown above above supported by National Science Foundation. © Jennifer L. Irish & Robert Weiss. All Rights Reserved.